ok, there's one key, but we hate talking to the janitor who has it. Thanks, Kevin. 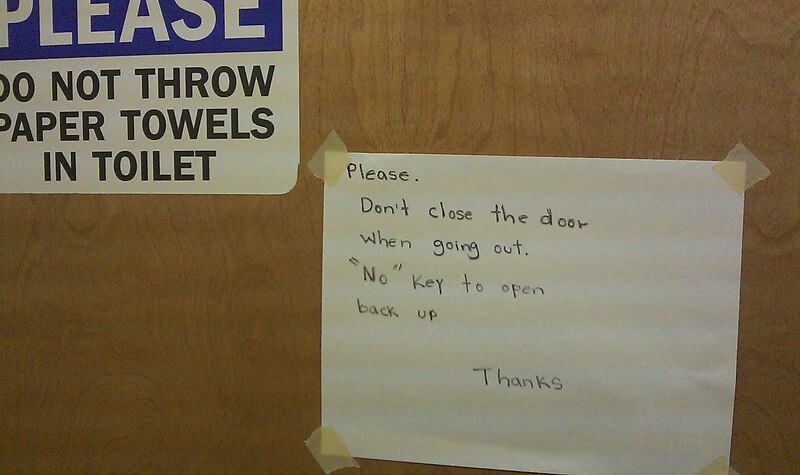 So, someone here heard "i wish they'd lock that door and throw away the key" and they actually did it.